New York Senator Charles Schumer has issued a warning to insurers from charging hurricane deductibles to homeowners who are suffering from Sandy-related damage. The difference could save homeowners hundreds, or even thousands of dollars. Hurricane deductibles typically require homeowners to pay between 1 and 5 percent of a property’s value, so that the owner of a house valued at $300,000 would have to pay $15,000 before receiving insurance payments. Schumer warned the insurance companies from challenging the National Weather Service’s classification of the storm. Officials in New Jersey, Connecticut, Delaware, Maryland, Pennsylvania, Washington D.C. and Rhode Island have also issued similar warnings. “The state and federal government both classified this storm as a post-tropical cyclone, not a hurricane, and insurance companies shouldn't try to alter reality to save money on the backs of homeowners," Schumer said in a statement. Gov. Cuomo has already issued an executive order prohibiting insurance companies from charging these deductibles, but insurance companies may still be able to sidestep regulations and impose the higher deductibles. 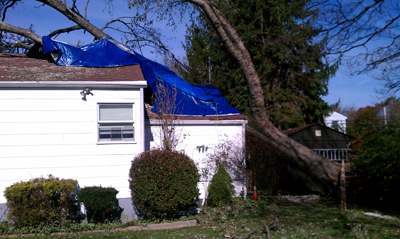 Homeowners suffering after Sandy have already been given a leg-up with the new rules that allow the homeowners themselves to document their losses, as opposed to having an adjuster inspect their homes. This measure, which went into effect last Monday, is anticipated to expedite the process of bringing insurance funds to homeowners eager to rebuild their homes and resume their normal lives. Subject: LongIsland.com - Your Name sent you Article details of "Schumer to Insurers: Don't Save Money on the Backs of Homeowners"